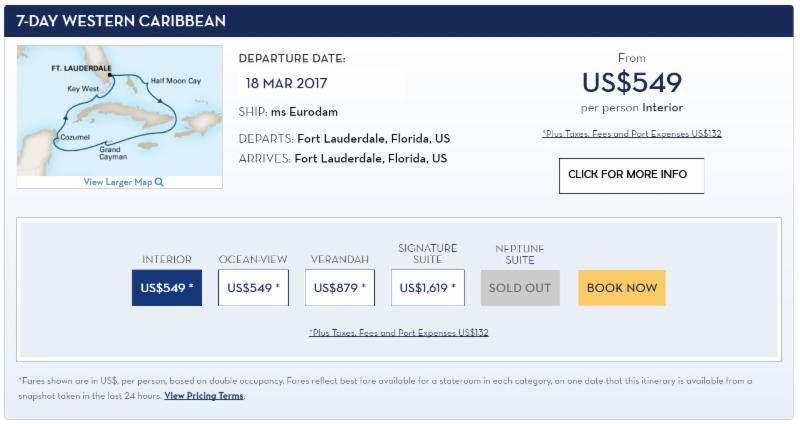 HOT DEALS: don't miss out on these Spring cruise specials! We've rounded up some excellent Spring cruise deals for you, please take a look below. Remember, this is just a sample of what is out there, so if you have a particular destination in mind, please let us know! Fares for this popular Pacific Northwest getaway have dropped dramatically, you don't want to miss this: for example, a superior balcony stateroom is just $1348.54 for two! Click here for more details! Select 2017 Europe Cruises Receive UP TO $500 in Onboard credit! 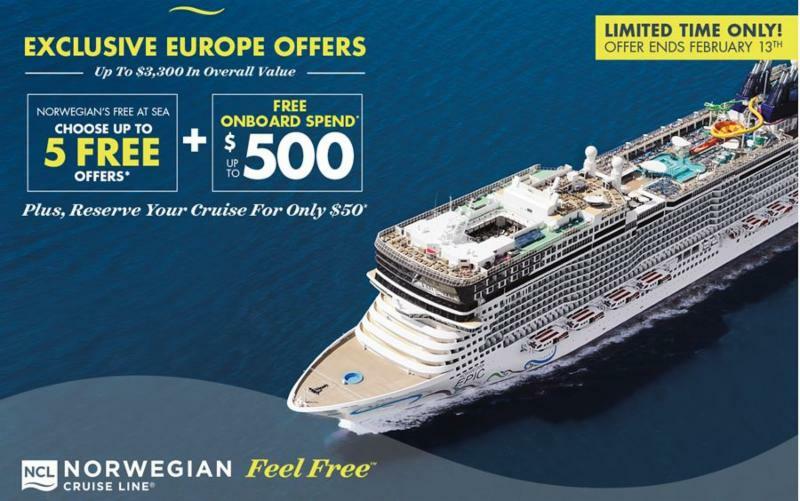 THIS OFFER IS COMBINABLE WITH OUR FREE AT SEA PROMOTION, THROUGH MARCH 5TH. 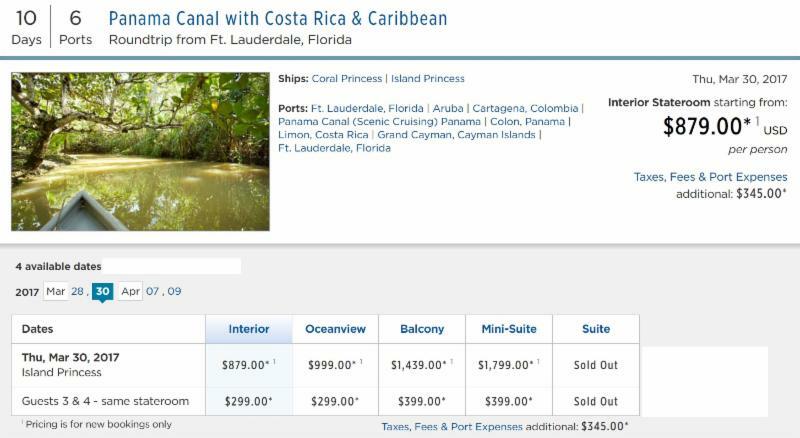 Port: Round Trip from Ft. Lauderdale, visiting Half Moon Cay, Grand Cayman, Cozumel, and Key West. Fares and deposits are non-refundable, and are due within 24-hours of booking. Unbelievable opportunity to spend 15 nights cruising the Mediterranean Sea, the Red Sea, and the Arabian Sea.